The provincial riding of Marquette, in Montreal’s West Island, is one of the safest Liberal seats in Quebec. It has been a party fortress since its creation in 1980. Its current MNA, François Ouimet, first ran in 1994. Since then, in bad times as in good, his re-election has been little more than a formality. In spite of his party’s poor showing in precampaign polls, this fall’s provincial vote was lining up to be no exception. Ouimet had reasons to feel his leader backed his decision to seek yet another mandate. There were rumours last winter that suggested Premier Philippe Couillard wanted to hand the plum riding to a star recruit. But when Ouimet put the question directly to Couillard in May, he says the latter looked him in the eye and gave his word that Ouimet’s nomination was not on the line. With the party’s blessing, Ouimet was expected to be officially nominated as Marquette’s Liberal candidate on Wednesday night. Instead, he spent Wednesday morning giving a tearful news conference to talk about his shock at having been summarily dumped by his leader. On Thursday, Couillard introduced former NHL hockey player Enrico Ciccone as his candidate in Marquette. The riding’s Liberal association was not on hand for the event. Its members were not in the loop of the party’s change of plan. It is hardly unknown for incumbents to be prodded towards the exit prior to an election so as to bring in new blood. Sometimes that process can involve messy nomination battles. But ruling parties do not usually lack for incentives to convince one of their own to take a hit for the team. It is virtually unknown for a leader to break his word to a caucus veteran and have him summarily dropped from the roster a mere week before the start of an election campaign. No one would describe Ouimet as a star player for the Liberals. Until this week, he had toiled in relative obscurity. But neither would anyone depict Ciccone as a political force. He earned his fame on the ice and as a commentator on sports broadcasts, and his social media history does not reflect any particular affection for the Liberal party. If anything, some of his past tweets suggest he did not always hold Couillard in high esteem. Sources told Radio-Canada that Ciccone had flirted with the leading Coalition Avenir Quebec prior to joining the Liberals. He admits to having had a lunch with a party official. The negotiation is said to have foundered on the CAQ’s refusal to elbow out one of its MNAs so as to parachute him in a safe riding. At a time when Quebec voters are reshuffling the political deck, he is hardly the only candidate to have indulged in party shopping. Former political columnist Vincent Marissal made overtures to the federal Liberals before joining Québec Solidaire to run against Parti Québécois Leader Jean-François Lisée in the Montreal riding of Rosemont. Couillard’s deputy premier, Dominique Anglade, initially ran for the CAQ, as did Health Minister Gaétan Barrette. One of former premier Jean Charest’s most popular ministers, Marguerite Blais, is running for François Legault’s party this year. Marquette’s voters will likely not hold the CAQ flirt against Ciccone, who has made the best of an uncommonly awkward situation since Thursday’s announcement. The same cannot be said about Couillard. 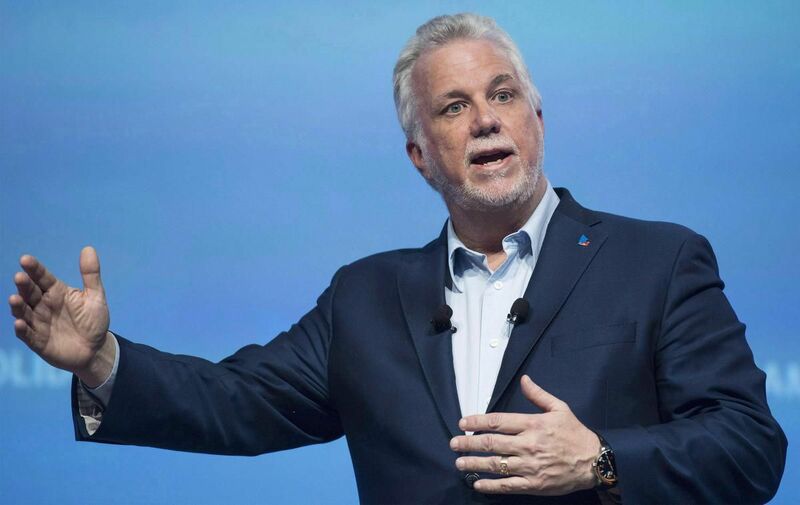 The outgoing premier is about to spend the next six weeks making promises to Quebecers. If his own MNAs cannot trust his word, how can voters be expected to do so? This is a leader who has not accumulated a large capital of public sympathy. He may have squandered most of it on appointing a celebrity candidate to a riding his party already had in the bag. More than a dozen Liberal MNAs are retiring this year. It is not as if Couillard lacked other opportunities to refresh his lineup. The sloppiness of the operation — at a stage in the pre-writ period when all eyes are already on the contenders — suggests the Liberal party machine is not tuned up for what is set to be one of its most uphill election campaigns in decades. It has just lost a week to the Marquette riding controversy. There are those who argue that if Couillard does poorly on Oct. 1, one will trace the moment when he passed the point of no return back to this week’s episode. What is certain is that he has just helped his opposition rivals put his credibility — or lack of it — on this fall’s ballot.